For current courses on developmental editing, click here. This course will examine “social media” from a cultural perspective, with a focus on how media technologies figure in practices of everyday life and in the construction of social relationships and identities. We will work from an expansive definition of what constitutes “social media,” considering social network sites, smartphone apps, and online games, among other technologies. Questions we will consider include: What tools can we use to study the place of social media in culture? How can social media enable the formation of community? How is identity performed in/with social media? How are constructions of youth, gender, race, ethnicity, and sexuality mediated through social media technologies? Can social media technologies be a vehicle for political activism? What are the commercial uses of social media? What are the ethical issues associated with social media technologies? Is it possible to refuse social media? The course itself will involve communication in social media channels in addition to the traditional seminar format, thus we will be actively participating in the phenomena under study as we go. In this course, we will explore queerness as identity, practice, theory, and politics, all through the lens of popular culture. Our approach will be grounded in theories, methods, and texts of communication and media studies, thus it will serve as a complement to other queer theory and culture courses offered across the university. After a brief introduction to the concept of “queer,” we will cover four major themes in the relationship between queerness and popular culture: 1) media representation of queer people and desires; 2) queer consumption practices of media texts; 3) the formation of queer community through mediated communication; and 4) the construction of queer identity through popular discourse. Readings will include both theoretical texts and case studies both historical and contemporary. Students will complete the course with a critical understanding of what it means to be and “do” queer in contemporary culture. Students will also be equipped to bring queer analytical tools to their everyday and professional encounters with popular culture. This seminar offers students the opportunity to engage with theories of communication and culture through the context of consumption and contemporary consumer society. Our focus will be on the role of commodities and consumer practices in everyday life and in culture at large. We will give particular attention to consumption’s role in the construction of social and cultural identities. In the concluding weeks of the course, we will consider critical responses to consumer culture, including the resistance and refusal of consumption as well as the attempted mobilization of consumption toward social change. Upon completion of the course, students will be well equipped to critically evaluate messages about consumption as well as to thoughtfully participate in social, political, and economic discourses of consumption as they move into careers in the communication field. In this course we will examine fashion as an important component of culture, and come to understand the role of fashion in constructing and perpetuating relations of power at the societal level. Our readings and discussions will span historical periods, geographic locations, subcultural groups, and identity categories such as gender, ethnicity, class, and sexuality. We will draw on the theories and methods of cultural studies, urban sociology, critical race theory, feminist theory, performance theory, queer theory, and political economic analysis. Throughout our study of fashion and power, we will trace eight keywords or central concepts: Representation, Identity, Control, Hierarchy, Transgression, Resistance, Appropriation, and Pleasure. 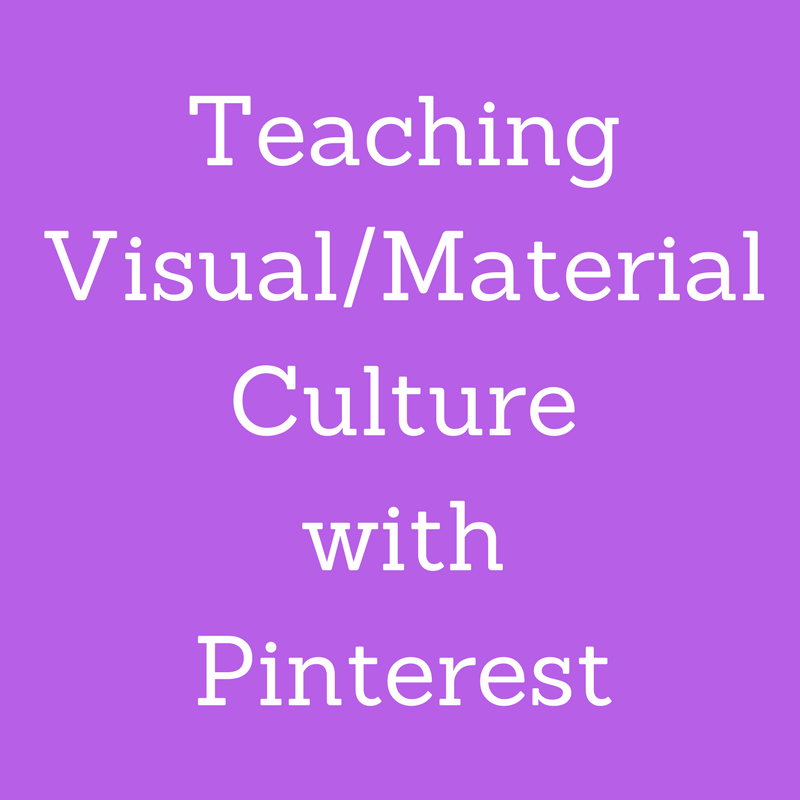 Students will have the opportunity to trace these concepts through readings, discussions, written assignments, visual image curation, and in-class group activities. This seminar will explore how subcultures and social movements are represented in media, with the goals of illuminating 1) how media representations grow out of historical, political and economic contexts and 2) how these representations shape the direction of movements aimed at social and cultural change. We will begin with foundational theories and definitions of subcultures and social movements, from the perspective of media, communication, and cultural studies. The focus of our early discussions will be on how social formations utilize media in the formation of community as well as how these groups are represented to outsiders through media texts and platforms, including print, film, TV, and digital/social media. The course will then examine several case studies, such as punks, anarchists, Black Power, women’s liberation, gay liberation, Occupy Wall Street, Anonymous, freegans, polyamorists, and/or other identity and lifestyle based movements. The case studies will involve reading scholarship on the movements and their representation in media as well as viewing actual media examples such as documentaries, feature films, webpages, etc. Students will also undertake an original research project on the media representation of a subculture or social movement of their choice, culminating in a substantial paper and a public, online archive of media examples accompanied by their own critical commentary. This course will investigate media through a variety of theories and methods. The focus will be on some of the dominant critical perspectives that have contributed to our understanding of media and its role in society. The course will provide the basic vocabulary and concepts used to analyze different types of media. 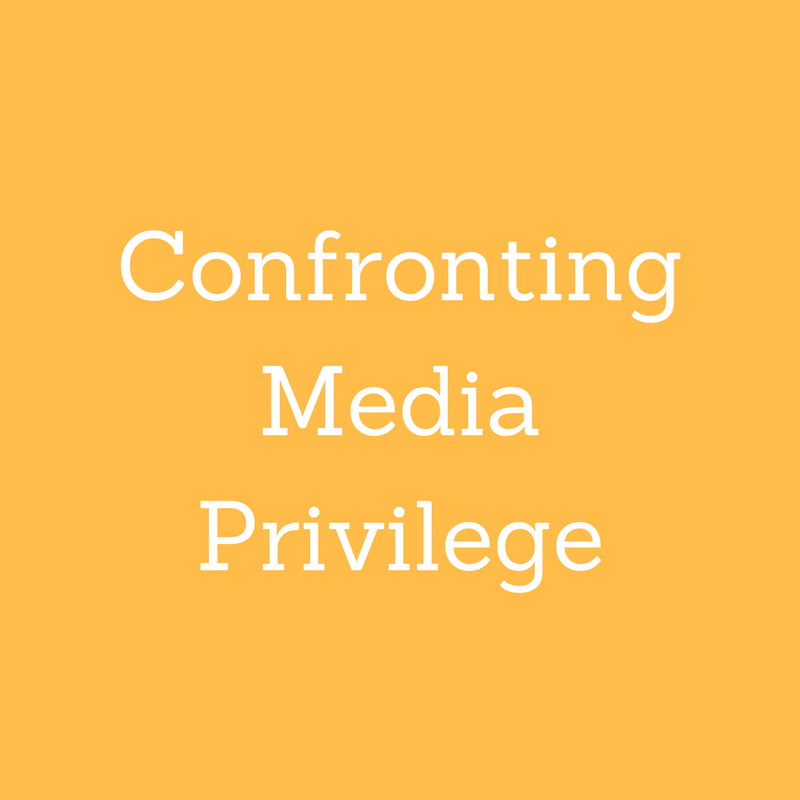 The purpose throughout the semester will be to explore, understand, and effectively apply various schools of media criticism though reading, watching, discussing, and writing a wide range of media texts. In this course, we will explore theories and research on how audiences consume media. Our focus will be on critical, qualitative, and ethnographic studies of media audiences. In each of the studies covered, we will pay attention to 1) the findings of the study as well as 2) the methods employed in understanding media audiences. We’ll examine several aspects of media consumption, including sports and media consumption; private and public spaces of consumption; hierarchies of media consumption and guilty pleasures; the consumption of social media and mobile communications media; gendered consumption practices; queer readings of media texts; fan appropriations; and producer/consumer convergence. We will end the course by looking at both academic and popular critiques of media consumption. In this course, we will examine the role of advertising in contemporary society as an economic force and a cultural form of representation. We will focus on the historical and institutional contexts in which advertising has evolved and exists today as a central aspect of consumer society. This will involve looking at social structures, economic conditions, media institutions, and governmental regulations. We will become familiar with many of the theoretical tools that help us to understand the content and communicational impact of advertisements and commodities. We will examine the ways in which advertising and consumption are enlisted in processes of cultural representation and identity construction. Finally, we will consider some of the social responses to advertising and consumption, including anti-consumption movements. This course is designed as an introduction to communication as the study of culture. Any study of communication entails an understanding of culture, and vice versa. As an examination of cultural institutions, ideologies, artifacts, and productions, work in cultural studies and communication is concerned with the integral relationship of cultural practices to relationships of power. Therefore we will focus on some of the key methodologies of cultural analysis and some of the primary themes of cultural study, with an emphasis on how they intersect with central issues in the field of communication. The first half of the course will be devoted to general approaches, key concepts, and over-arching questions, with a particular emphasis on the study of media, popular culture, and communication. The second half will focus more specifically on distinct units of study—gender, sexuality, media and others—as individual case studies of cultural analysis. We will pay particular attention to how notions of both culture and cultural study have changed over time, and how those legacies influence contemporary debates around cultural production, cultural identity, and global cultural change. This course will explore popular culture as an indicator of cultural values, a producer and reflection of cultural meaning, and a means of communication. Students will become familiar with various theoretical tools and research methods that are useful for understanding popular culture. We will use these theories and methods as strategies for interpreting cases from contemporary popular culture. Our emphasis will be on developing a critical eye in encounters with culture in everyday contexts, and on communicating critical interpretations in writing.